This ad was posted on November 25th. This ad is now closed. 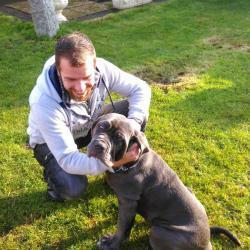 Registered with the London Kennel Club, from the top bloodlines in the UK and Italy. Due to a family situation we find ourselves unable to keep him. His early training is going well, and he's housebroken. We paid 2500 sterling plus extra for him to have training while we waited out the rabies waiting period to come here to Ireland. Note! This ad is now closed. 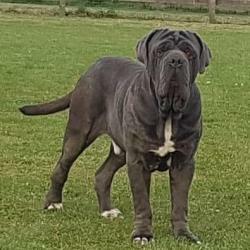 See other Mastiffs for sale. 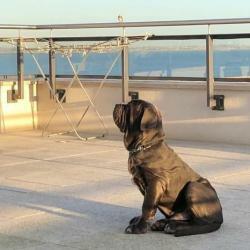 See other Mastiffs for sale.